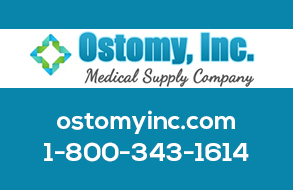 There are so many choices an ostomate needs to make about which products to use after having surgery. At first we need to depend on our doctors and ostomy nurses to help us choose which surgical appliances and accessories to use. However, after a while we may wish to try out other products to see if they are more comfortable or better suited to our personal preferences. Here are some of the variables in this decision making process. There are two basic types of pouching systems, one-piece and two-piece. A one-piece system has the skin barrier wafer (adhesive disc) built into the pouch itself. This system’s advantages are that it is quick to change, needs less manual dexterity to apply and lays flatter having a lower profile under your clothes. The two-piece system has a separate skin barrier wafer and a snap-on pouch. One advantage of this system is that since you have an unobstructed view of your stoma until you snap a pouch onto the skin barrier wafer, you can wear an opaque pouch and still be able to very accurately place the skin barrier wafer centered over your stoma. You can also change a pouch without having to remove the wafer. Personal preference is ultimately the only rationale for using either one of these two systems. There are two different ways while using a two-piece system in which a pouch can be attached to a skin barrier wafer. One is commonly referred to by ostomates as the 'tupperware' method. The pouch snaps onto a flange built into the skin barrier wafer. Using this method can be painful postoperatively putting pressure on the tummy. Thus Hollister (888-740-8999) has the New Image Floating Flange Wafer and ConvaTec (800-422-8811) has the Accordion Flange Wafer, both of which put no pressure on the abdomen when attaching it to the pouch. Originally ostomates had to use a thick liquid cement applied with a paint brush that dried on the skin to hold their appliances in place. These were messy and hard on the skin. Those days are happily long gone. Today, ostomates use two different types of adhesives to keep their pouches comfortably attached to their bodies; standard and extra strength adhesive wafers (skin barrier wafers). Standard wafers work well such as Stomahesive by ConvaTec and usually last three to five days between changes. Extra strength adhesive skin barrier wafers (also called extended wear) are now available that usually hold for six or more days. 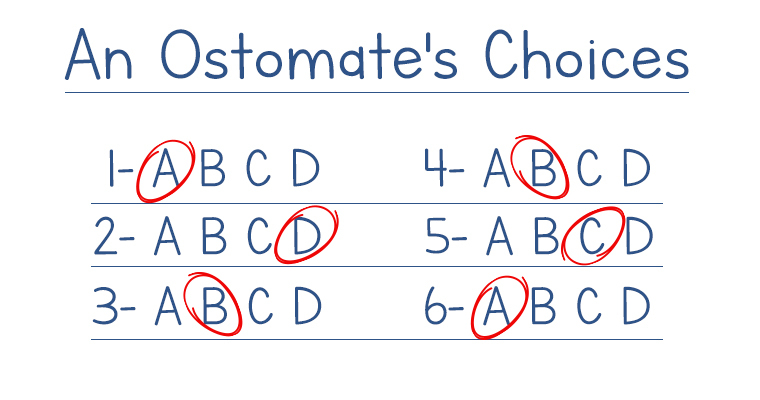 Some lucky ostomates even report not having to change their appliances for ten days to two weeks. ConvaTec’s DuraHesive and Hollister’s CeraPlus FlexTend Skin Barriers fit into this category. These products stay flexible and never dry out around the edges cutting into your skin as standard wafers may. Before moving on to our next topic, there is one product on the market that deserves mention that uses a non-adhesive method of attaching to the body. Nu-Hope VPI Non-adhesive system uses a silicone O-ring that fits snugly around the stoma directing output into a pouch held in place by an adjustable elastic belt. Several of BOA members who are urostomates use this product with great success. (800) 899-5017. The shape of wafers differs in three aspects. There are wafers with convexity (they curve in toward the skin near the stoma), flat standard, and low-profile. A wafer with convexity pushes the skin toward the body for those with flush or too short stomas thus allowing the output to flow into the pouch rather than undermining the skin barrier wafer and going onto your skin. Standard flat wafers lay flat on your body and work well with stomas that protrude at least 3/4 inch. Low profile wafers are less visible under clothing and are used only with one-piece pouching systems. Examples include Coloplast’s Assura, Hollister’s Premier One-Piece, ConvaTec’s ActiveLife and Cymed’s MicroSkin. Wafers also come with custom-cut or precut stoma openings. If you happen to have a round stoma that is the size available from a manufacturer, a precut opening will work well. However, if your stoma shape is irregular or oval, it is better to use a product with a starter hole from which you cut a stoma opening that exactly matches the size and shape of your stoma. Better yet, ConvaTec has a wonderful skin barrier wafer that has a moldable stoma shape opening. You merely manipulate the hole between your thumbs and first fingers to create any needed size or shape. If dexterity or visual problems impair your ability to cut a custom opening in your skin barrier wafer these moldable wafers will alleviate this challenge. The skin around an ileostomates stoma cannot be exposed to output as output is highly caustic and will greatly harm the skin. Two methods can help to ensure no skin is exposed, ConvaTec’s Eakin Cohesive Seals or Stoma Paste. Eakin seals have a ‘silly putty’ consistency and last longer while Stoma paste is similar to toothpaste. ConvaTec’s StomaHesive Paste or Hollister’s Premium Paste can be squeezed from its tube onto to your clean, dry skin just touching the outer edge of your stoma and extending outward on your skin for approximately a quarter inch. Eakin Seals are shaped like a hardware store washer and are merely placed flat on the skin up next to and touching the side of the stoma. It remains flexible and will not harm the stoma. Wafers can be firm and less flexible or soft and flexible. If your abdomen is soft the firm wafer will help keep the appliance in place. If your abdomen is creased or contoured, a soft, flexible wafer would do better. An example of an extremely soft, flexible pouching system is Cymed’s MicroSkin. Just as with Goldilocks, there are pouches for small, medium and high volume output. High volume pouches are advisable to use when traveling on small airplanes or buses that do not have restrooms. Small or mini-pouches can be used by children or petite people or during sports or intimate moments. High capacity pouches are also available. At the other end of the scale, “Stoma Caps” are available which merely cover a stoma with no storage compartment for output. These are used only by colostomates who irrigate when no effluent is expected. One technique that has been very helpful to those who have to cope with high liquid output is to use a product which is placed in the pouch that changes the viscosity of its contents from watery to a gel. This greatly helps to control the management of the output. Try either Cymed’s Ile-Sorb Absorbent Gel Packets, Nu-Hope’s Nu-Sorb or Parthenon’s ParSORB. When my grandfather had his colostomy in the late 1930’s he made his own pouches out of inner tubes in the basement of his house. I actually thought all Grandpas wore a small inner tube on their tummies. What a difference today! Pouches are now transparent, opaque or highly decorative using cloth pouch covers. A transparent pouch gives easy visibility of effluent and the stoma and is usually used just after surgery. After your surgery has stabilized please move on to opaque or decorative pouches. No need to see what’s going on and decorations can be fun. To decorate (both male and female) try C&S Ostomy Pouch Covers that carry wonderful cloth appliance covers. Pouch Pals (618-537-4329) cloth covers come in both macho and very feminine styles. Many ostomy supply manufacturers have charcoal odor filters built into special pouches to control the odor of escaping gas. The one caution when using this type of product is that water destroys the filter. Most manufacturers supply small plastic patches to cover the filters when bathing or taking showers. Don’t forget to use them if you use this product. Kem’s Osto EZ Vent® (888-562-8802) manufactures an air release venting device that can be applied to any pouch you already use. Remember, never put a pin hole in your appliance to release gas. You’ll only end up with a mess. Go to a bathroom and allow the gas to escape there. To eliminate the odor problem entirely, use liquid odor neutralizing drops in your pouch, squeezing about ten drops from its bottle back into you pouch every time you empty it. Beware; some brands of deodorant drops are clear liquid while others are a deep blue. If you use the blue drops, staining your clothes must be carefully avoided. Some ostomates feel more secure wearing a belt attached to their pouches. Unless you are using the VPI non-adhesive ostomy system, a belt is probably not necessary. They are uncomfortable and stretch out if wet. Try instead a technique called “picture framing”. Put tape all around your skin barrier wafer, half on the wafer and half on your skin. Four or five small strips of tape should be all that’s necessary. Try “paper” tape as it is easy on the skin and actually adheres better after getting wet. Most waterproof tapes are far too hard on the skin and do not hold any better. However, there is a new waterproof tape that is very gentle on your skin and removal never hurts. I’m using it exclusively. Safe n Simple’s Simpurity Dermapro Waterproof Silicone Tape comes in 1 and 2 inch widths. Empty your appliance when it is one third to one half full and you’ll lessen the weight pressure on your appliance. Also, try tucking the bottom of your pouch under the elastic of your briefs at the leg to help hold your appliance up. It works and it is very comfortable. In many ostomy supply catalogues you will see products made with Karaya. These were very useful thirty years ago. Although less expensive, your editor does not recommend their use as they dissolve quickly when compared to today’s product lines. Wow! These are a whole lot of choices. Try just one area of change at a time so that you’re not overwhelmed. Give a new product at least two tries before deciding if it might work for you. The first try may not succeed not because of the product itself, but because of the way you applied it. Talking to others at our meetings can also be a big help. First hand product reviews are priceless. Sincere thanks to our volunteer CWOCN speakers and our so very helpful company reps for helping to teach me what I know on this particular topic. Any errors are certainly from my misunderstandings. Special thanks to Shelly deMarco. CWOCN for providing the list of choices that were covered in this article. I couldn’t have possibly thought of all the different categories without her help. All the best to you, our adventurers, as you try out these new choices. 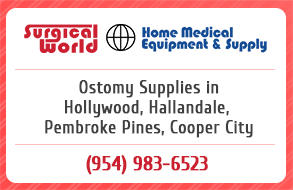 At age 26 after undergoing surgery to cure an eight year battle with severe ulcerative colitis, Wendy joined the Broward Ostomy Association in 1972, immediately taking over the job of Newsletter editor. With degrees in Philosophy and Graphic Design, she is still serving in that same capacity but has also been that association’s president for the past two decades. A strong supporter of UOAA, she has also served six years on UOAA’s National Advisory Board.